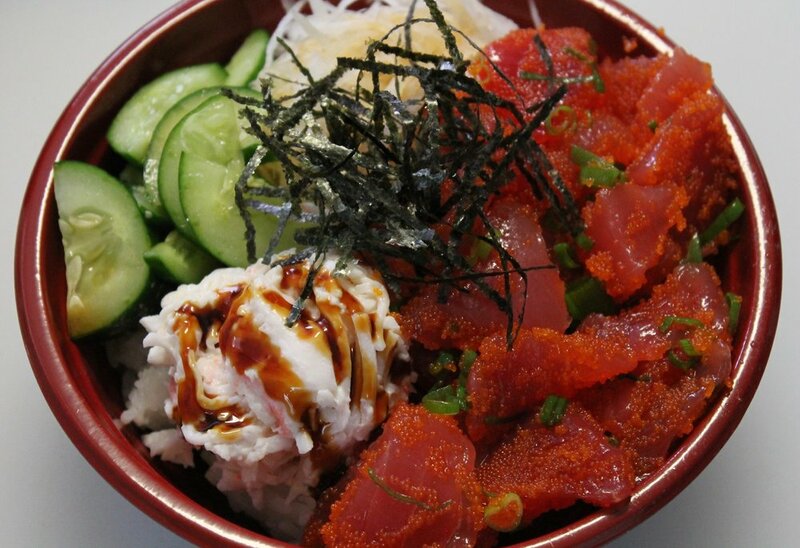 Aloha Cones was founded in 2013 with the singular goal of providing fresh and healthy gourmet street fare of sushi, salads, and poke bowls. As an alternative to usual fast food, Aloha Cones specializes in tasty dishes with a unique spin on traditional favorites. 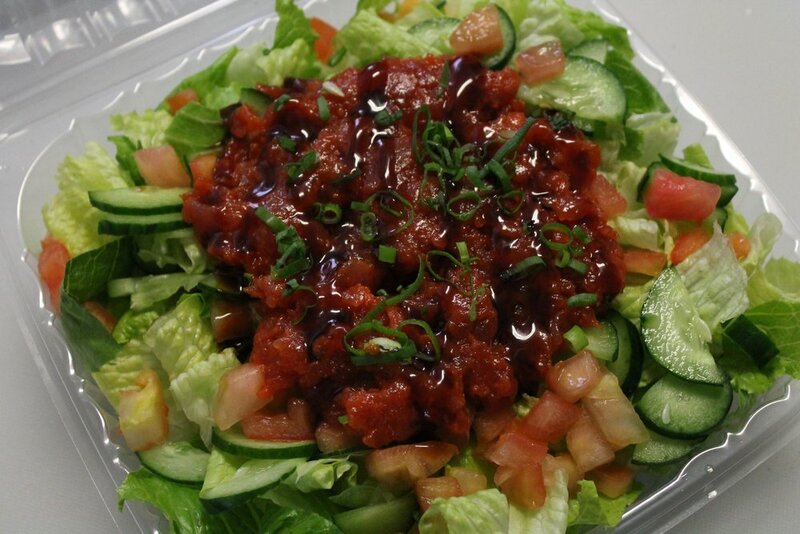 Aloha Cones is committed to providing simple and beautiful food that tastes as great as it looks. 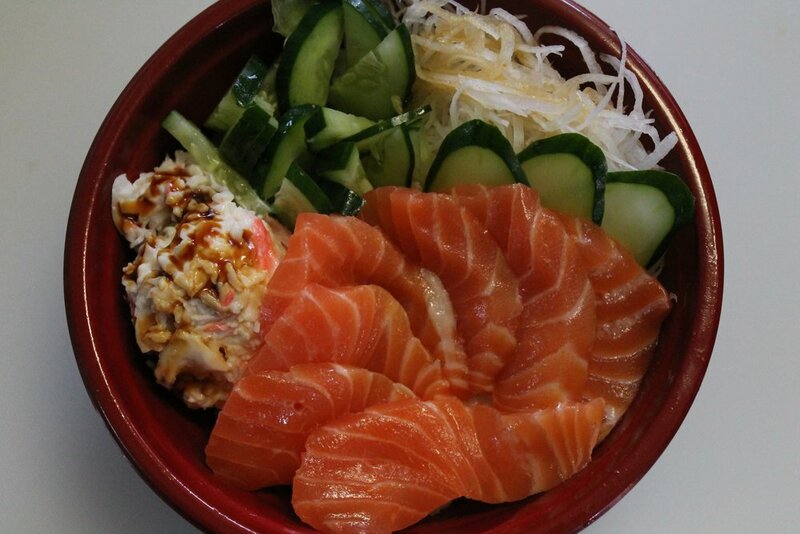 Bowl - Served on a bed of premium sushi rice w/ cucumbers, daikon, crab salad. Salad - Served on a bed of romaine lettuce w/ tomatoes & cucumbers. Choice of Asian or Spicy Miso dressing. 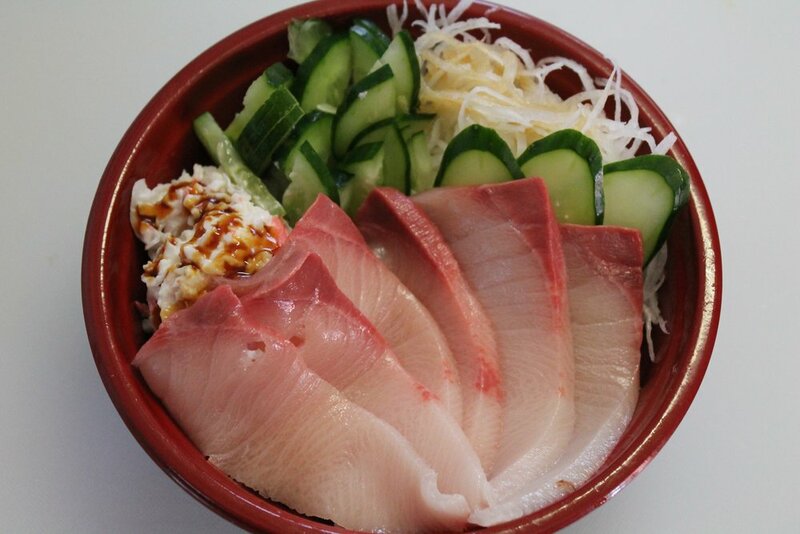 Fresh sashimi grade Ahi mixed w/ House shoyu sauce, round & green onions. 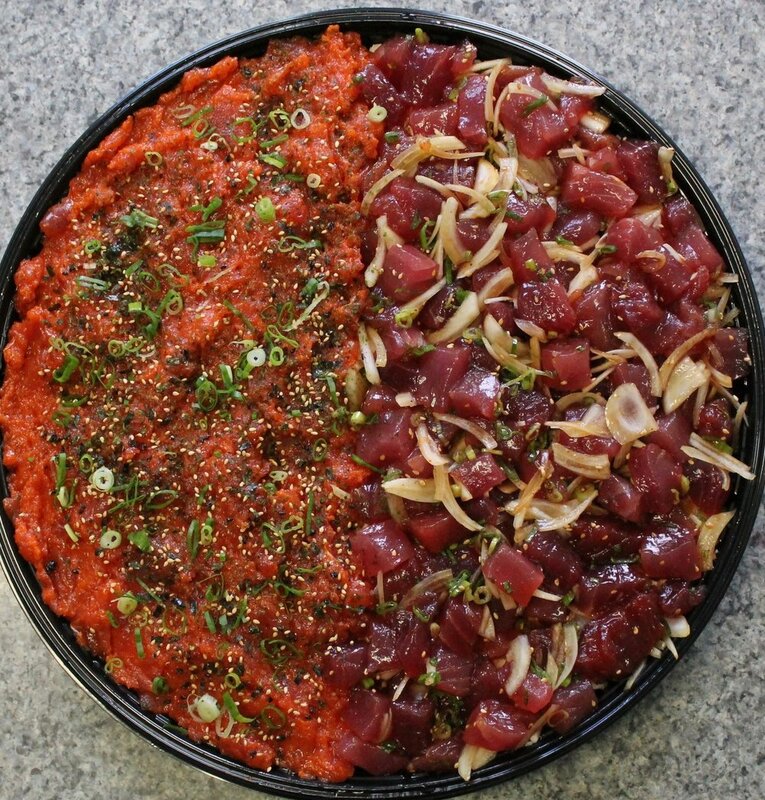 Fresh sashimi grade Ahi mixed w/ sesame oil, Hawaiian sea salt, sesame seeds, chili flakes, round & green onions. 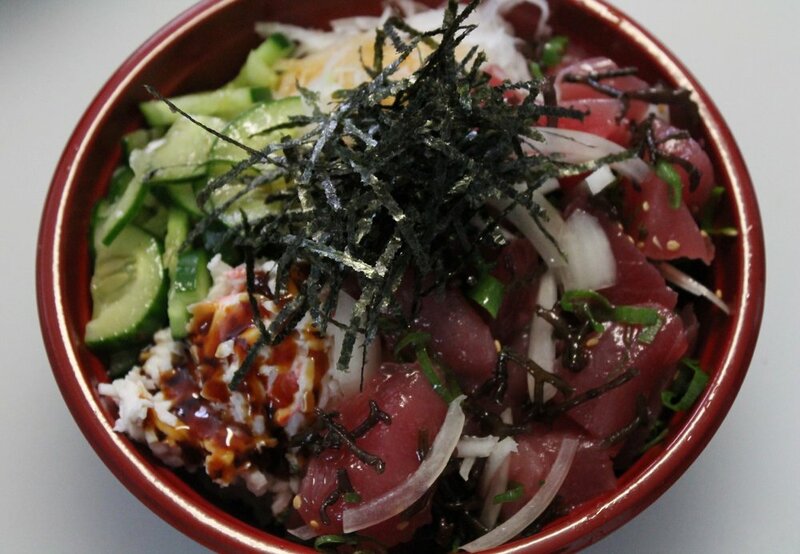 Fresh sashimi grade Ahi mixed w/ sesame oil, Hawaiian sea salt, sesame seeds, chili flakes, round & green onions, ogo (limu). Fresh sashimi grade Ahi mixed w/ sesame oil, wasabi oil, Hawaiian sea salt, green onion, masago (smelt roe). Fresh sashimi grade Ahi mixed w/ House spicy sauce, masago (smelt roe). Garnished w/ unagi sauce & green onion. Crab salad, edamame, avocado. Garnished w/ unagi sauce & green onion. Fresh Atlantic Salmon. Served w/ ginger pesto upon request. Fresh local Tuna. Served w/ ginger pesto upon request. Fresh Yellowtail from Japan. Served w/ ginger pesto upon request. Trio of Maguro, Salmon, Hamachi sashimi. Served w/ ginger pesto upon request. Shrimp tempura, edamame, avocado, crab salad. Garnished w/ unagi sauce & green onion. Fresh-water eel. 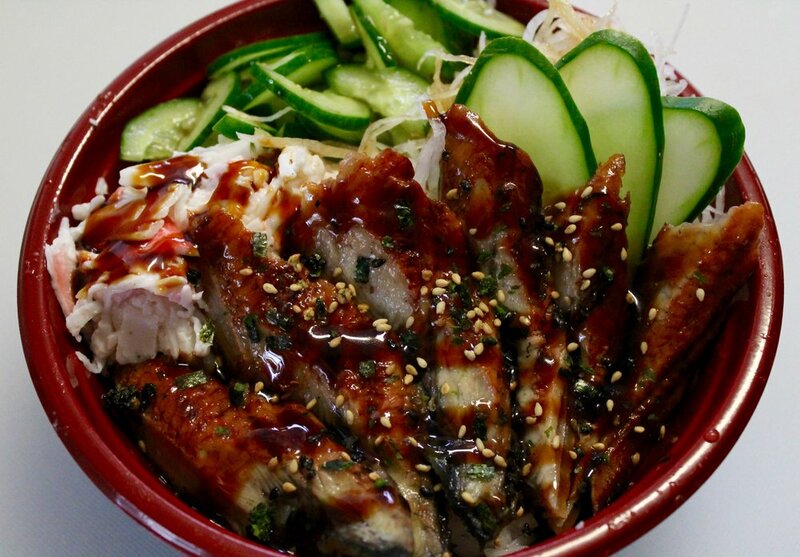 Garnished w/ unagi sauce. Choose any 2 bowl/salad items. Served on a bed of premium sushi rice w/ crab pasta salad. Choice of Gar-Licky Aioli or House Katsu sauce. Served on a bed of somen noodles w/ crab salad, tomato, cucumber, edamame, takuan, green onion. Served w/ Asian dressing. Served on a bed of romaine lettuce w/ tofu, crab salad, tomato, cucumber, takuan, green onion. Choice of Asian or Spicy Miso dressing. 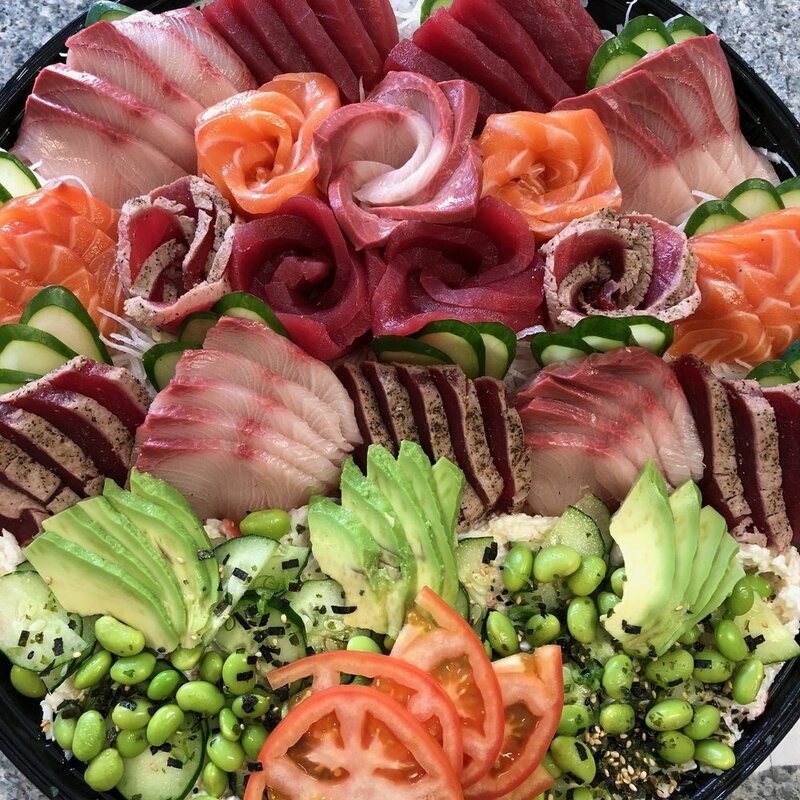 Choose from our selection of poke and sashimi to create a customized platter for your next event. Please call or email to place an order. Yes, we cater events and parties. Chef Aaron prepares sushi LIVE for you and your guests. Starting at $12/person, minimum 30 people/$360. Please call or email for more information. Prices and menu subject to change without notice based on market and availability.